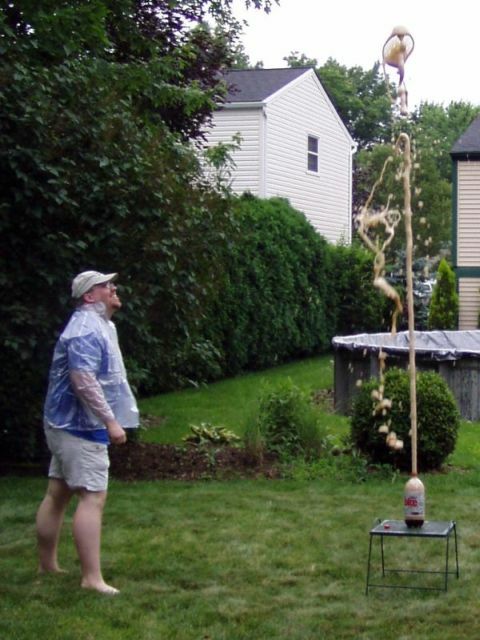 Non Sequitur: Diet Coke and Mentos | Kris Johnson's Blog…sort of. If you frequent YouTube.com or Google Video, you’ve almost certainly seen a slew of videos in which people combine Mentos mints and Diet Coke with explosive results. Sunday evening after dinner, we were relaxing on the deck with friends and family after dinner when my mother declared that she wanted to see the Mentos and Diet Coke experiment. We had neither Diet Coke nor Mentos in the house, so a trip to the grocery store was in order.